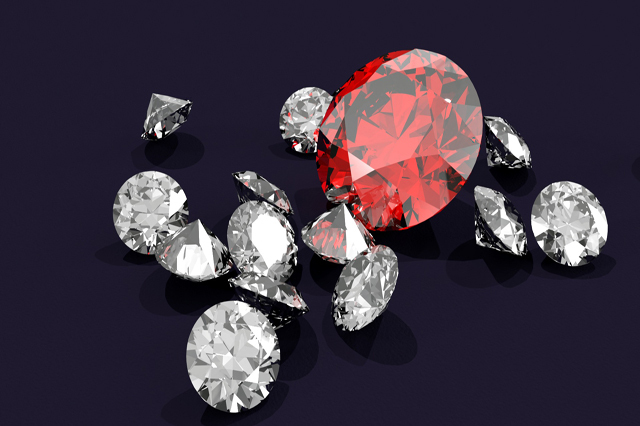 All the factors that affect a diamond’s appearance and properties are explored by the Elearn college Gemology Diploma. The 4C’s (carat, cut, clarity and colour), grading of diamonds, how to discern an original from an imitation and the treatment of diamonds are all covered by the Gemology Diploma. You will learn how creative problem solving skills can be utilised as well as how to record and present data in an accurate manner. The Gemology Diploma teaches you how to handle commercially important gems like diamonds, emeralds, rubies and sapphires in a careful manner as well as analyse synthetic and imitation gem materials. You will learn how to use the basic tools used in Gemology, how crystals are formed and also how to fashion gems and use them in making jewellery. The identifying features of gems that are commercially important and the value of the gems and their durability are also covered by the course. Along with giving a detailed introduction to the world of Gemology, the course will give guidance about important factors like the identification of different stones and understanding their properties so that you can confidently use them when purchasing gems or when using gems to do work of your own. As Gemology is a vast subject, one can spend years studying the subject, but this Gemology Diploma Course will help jewellers and buyers learn the basics about working with gemstones and make it easier for them to pick the right ones. From the scientific characteristics of Gemology to the practical aspect of identifying gems and their properties, the course will give a well grounded summary on most of the important topics that are related to gems and Gemology. You will learn about some main Gemologist tools and how to use them as well as the main varieties in gemstones and the different gem colours used when making jewellery. Easy methods to identify Gemstones with the help of pocket instruments will also be covered. Your eye will be trained to recognise gemstones and their unique characteristics and also learn tips that will help to distinguish synthetics and treatments. On completion of the course, you would become capable enough to identify and appreciate the extensive range of gem types and colours.